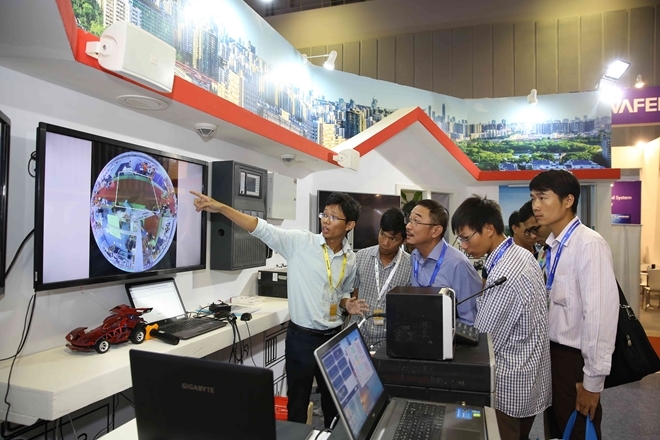 PSNews - The Fire Safety and Rescue Vietnam - Secutech Vietnam 2018 draws the participations of over 500 stands of 300 domestic and international units. The Fire Safety and Rescue Vietnam - Secutech Vietnam 2018 will take place on August 16-18, at SECC, 799 Nguyen Van Linh, District No.7, Ho Chi Minh City. According to the organizing board, this year - exhibition includes 530 stands of 300 domestic and international units such as UK, India, Croatia, Taiwan (China), Germany, Holland, Republic of Korea, USA, Hongkong, Indonesia, Italia, Malaysia, Japan, France, Singapore, Thailand, China, UAE. The exhibition will create opportunity for participating units to enhance international cooperation, share experience and technology transfer in the field of fire prevention and fighting. In particular, the Fire Safety and Rescue Vietnam - Secutech Vietnam 2018 will also help promote image of the fire fighting police force of Vietnam to international friends. 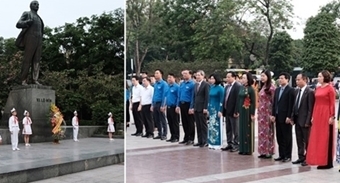 Within the framework of this year-exhibition, many specialized workshops will take place such as workshop on technology of fire prevention and fighting, workshop on ensuring security and safety, forum on Vietnam smart solutions, etc. Additionally, the fire fighting police force in Ho Chi Minh city in collaboration with the Ho Chi Minh Municipal Department of Education and Training will hold dissemination to popularize skills of fighting prevention and fighting to people.